Nick Magnus returns with his fifth studio and the follow up to the excellent Children Of Another God (2010). He is joined once again by Steve Hackett and Pete Hicks who rekindle their musical partnership which began on Spectral Mornings (1979), and for Nick, a collaboration that continued for over a decade. Also making a welcome return on n’monix is vocalist Tony Patterson, along with guest vocal appearances from Kate Faber, Tim Bowness, James Reeves, Andy Neve and Nick Magnus. In many respects, however, this is a solo project and the only other musician on the album is Rob Townsend (soprano saxophone & flute). Now as most of these names will be familiar, progressively speaking, I’ll skip any further introductions and head over and on to the music. The album kicks off in fine style with Time and after some brief atmospherics we launch into the main body of the track. A stomping rhythm, embellished by a multitude of cracking keyboard sounds, paves the way for the first of our vocalists, Tony Patterson, who offers an impressive performance encapsulating the somewhat dark lyrical content and with his Gabriel-esque timbre adds a Genesis like quality to the proceedings. Nick’s great instrumental passage, two thirds in, is pretty much the icing on the cake and a section that must surely engage any self respecting progressive music lover. Follow this LINK and check it out Time at Cherry Red/Esoteric Antenna’s Soundcloud site. However finish we must and a muted trumpet heralds the militaristic pomp and ceremony of Kombat Kid. As with all the album the lyrics are cleverly written, injecting not only a deeper message, but also adding wit and charm to the music. Richard of York, or Dicky as he is here, never gives up the battle in vain as our five year old soldier is slowly immersed into the world of gaming warfare. Tony Patterson produces another fine vocal performance whilst Nick Magnus demonstrates not only what a fine keyboard player he is, but also his mastery of arrangement, performing all the parts with aplomb. Around the 4:30 mark we move into distinctly Genesis territory with delicate guitar, layers of mellotron-esque sounds and choirs invoke Selling England By The Pound. 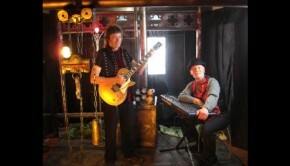 From the circus and on into the dimly lit, hushed theatre stage for the gentle ballad, Broken. There’s a distinct West End musical ambiance to Tim Bowness’ contribution and his dulcet tones rest effortlessly on top of the arrangement. 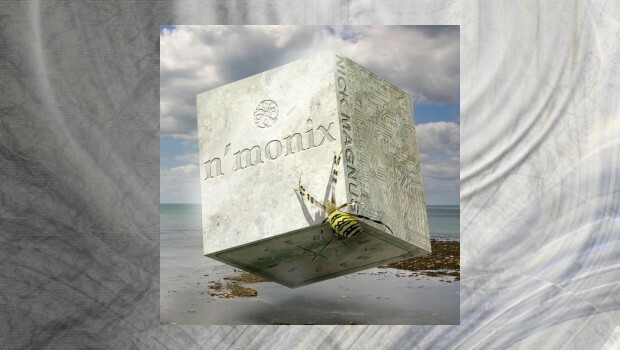 Mention here that of the subtly of Nick Magnus’ arrangements – ‘fretless bass’ at just the right moment – superb. And if all of this wasn’t enough Rob Townsend delivers two wonderful soprano sax solos. This is a highly accomplished and accessible album, chock full of great tracks that fuse old style prog in an engaging and contemporary style. This said n’monix has a much wider appeal and given the right exposure is deserving of a far greater audience. Considering the diverse range of vocal contributions the album flows wonderfully – a testament to the writing and the fantastic performances. A great album and one I heartily recommend.